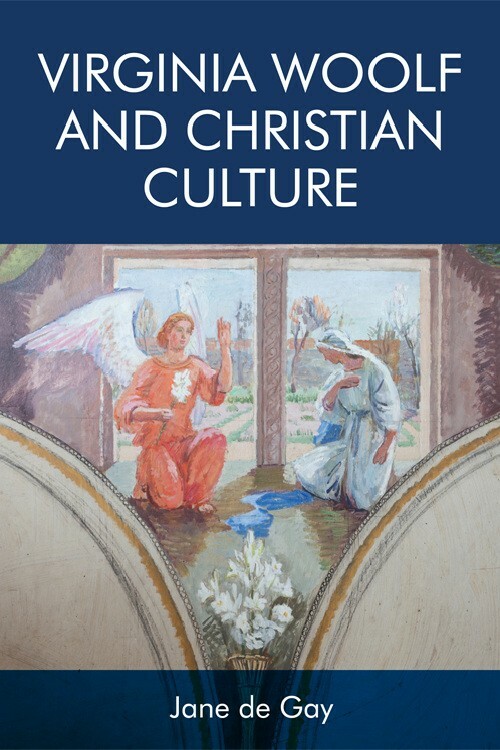 Dr. Trudi Tate of the University of Cambridge has shared a review of Jane de Gay’s new book, Virginia Woolf and Christian Culture (2018). Jane is professor of English literature at Leeds Trinity University. Read the review on the Literature Cambridge website. 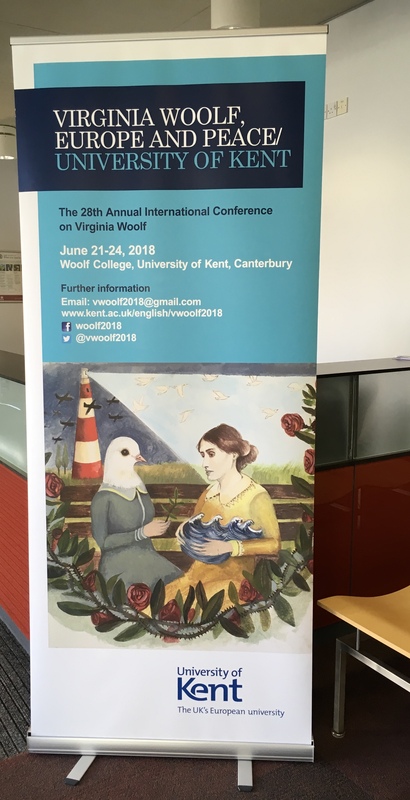 Woolf and Christian Culture (2018). Read it here. 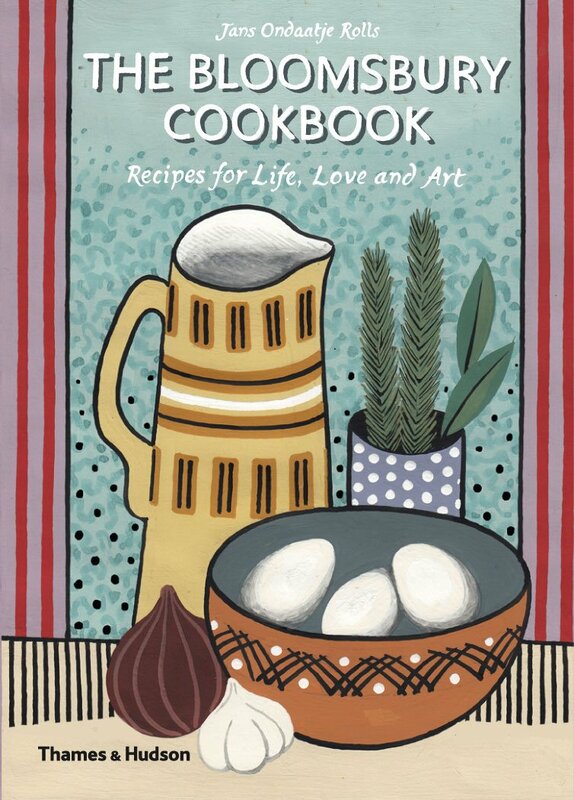 Remember The Bloomsbury Cookbook: Recipes for Life, Love and Art by Jans Ondaatje Rolls? Published in 2014 with all proceeds going to The Charleston Trust, it offered more than 180 recipes — some handwritten and never before published — from Frances Partridge, Helen Anrep and David and Angelica Garnett. The recipes, according to publisher Thames & Hudson, promised to “take us into the very heart” the world of the Bloomsbury Group by recreating mealtime atmospheres at locations such as Monk’s House, Charleston Farmhouse and Gordon Square. I pored over the book recently and picked recipes that I thought were closest to a Bloomsbury version of a traditional American Thanksgiving holiday meal. I won’t be substituting any of these dishes for my family’s standby favorites, but here’s the Thanksgiving menu I chose from the book of Bloomsbury recipes. The book is more than a cookbook. 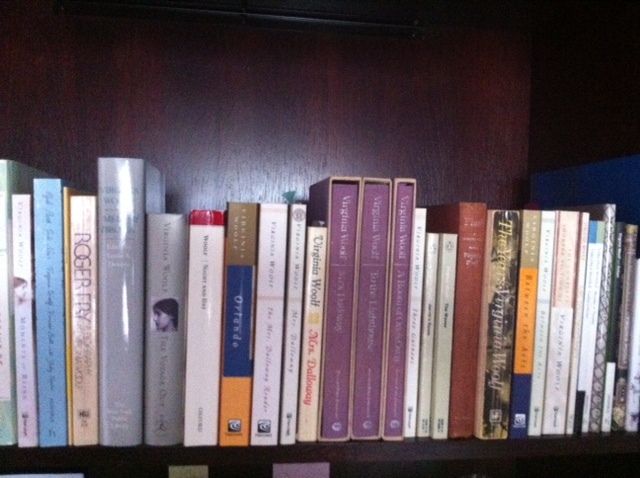 It includes photographs, letters, journals and paintings that contribute a social history angle as well. 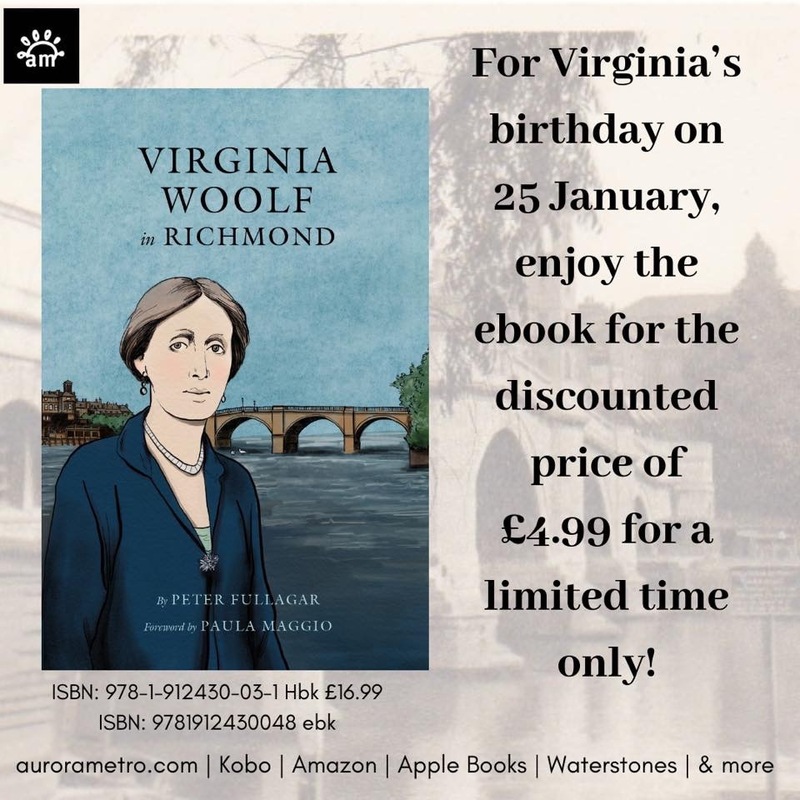 Read more about Virginia Woolf and cookbooks on Alice Lowe’s blog. 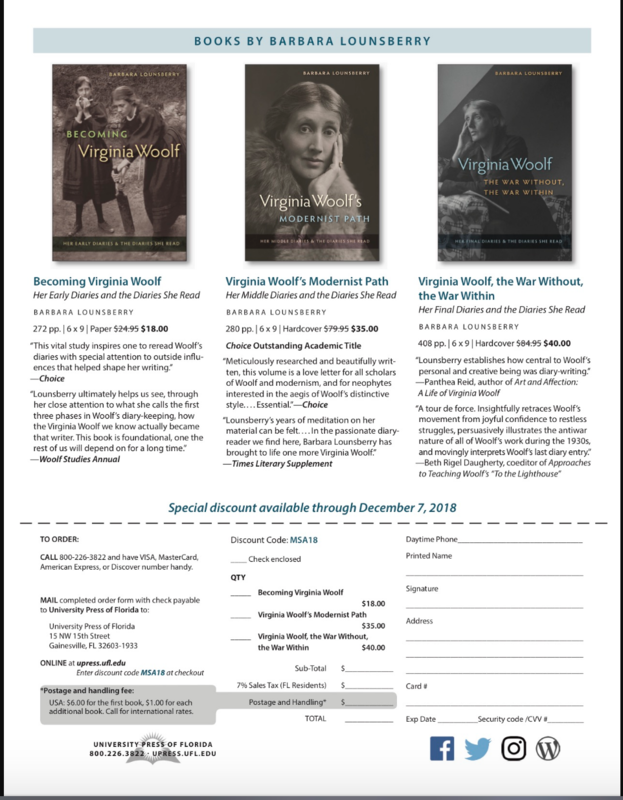 Barbara Lounsberry’s volumes on Virginia Woolf’s diaries are available at a deep discount from the University of Florida Press through Dec. 7. 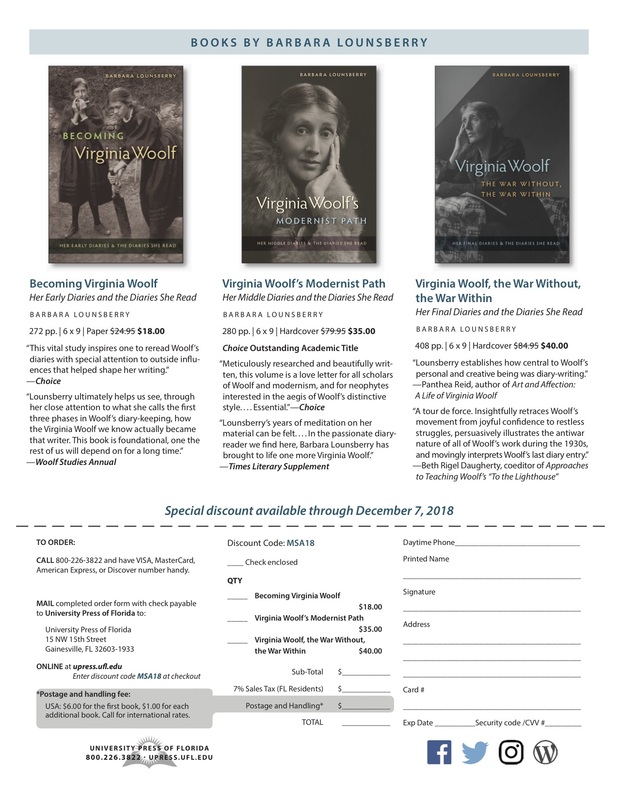 The volumes include Becoming Virginia Woolf ($18), Virginia Woolf’s Modernist Path ($35), and Virginia Woolf, the War Without, the War Within ($40). Order online by visiting the UFP website and entering the discount code MSA18 at checkout. You can also download the flyer. 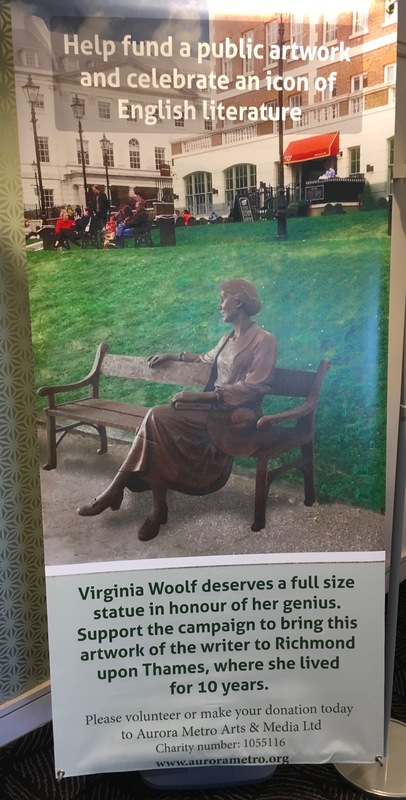 The International Virginia Woolf Society will host its 19th consecutive panel at the University of Louisville Conference on Literature and Culture Since 1900, Feb. 21-23, 2019. The group invites proposals for critical papers on any topic concerning Woolf studies. A particular panel theme may be chosen depending on the proposals received. Please submit by email a cover page with your name, email address, mailing address, phone number, professional affiliation (if any), and the title of your paper, and a second anonymous page containing a 250-word paper proposal with title, to Kristin Czarnecki, kristin_czarnecki@georgetowncollege.edu, by Sept. 17. 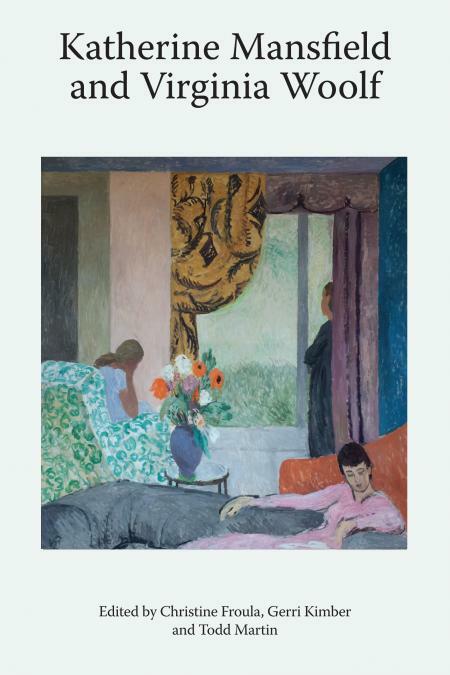 Clemson University Press, in association with Liverpool University Press, will publish a two- volume edited collection of proceedings from the 28th Annual International Conference on Virginia Woolf: Virginia Woolf, Europe and Peace. Each book will consist of around 15 full-length essays (likely to be around 6,000-7,000 words). The work on this will be carried out over a two-year period, so that it is available by the time of the 2020 conference. One of the big advantages is that it will allow ideas presented at the conference to be developed and shaped by what came out of discussions in individual panels and the conference more broadly while allowing editors to include roughly the same number of contributors as in the previous format. 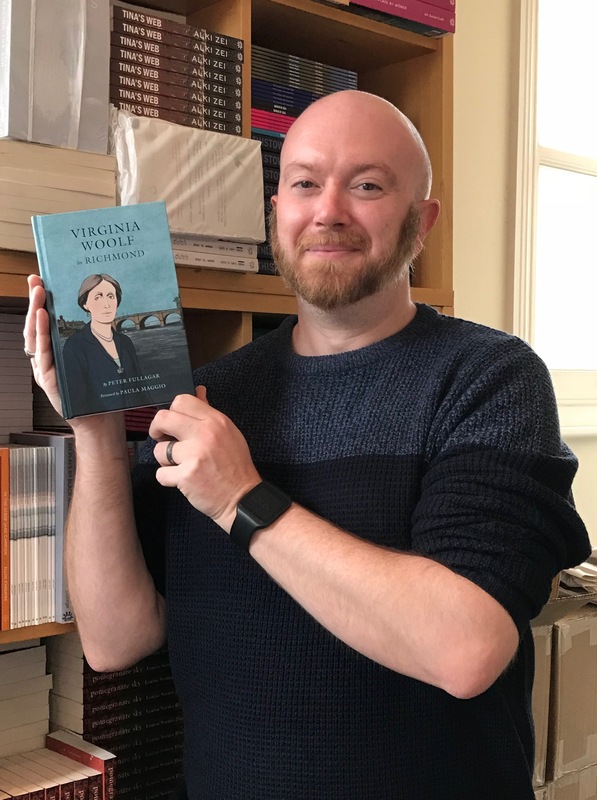 Both volumes will be titled Virginia Woolf, Europe and Peace, but will likely have different subtitles to signal the specific focus of each book (to be decided once submissions have been received). Conference presenters who would like to be considered for inclusion in the volumes should send an extended abstract of 500 words and a short biographical statement by the extended deadline of Friday, Sept. 14, to vwoolf2018@gmail.com. Once the selection has been finalized, contributors will have until the end of March 2019 to complete chapters. 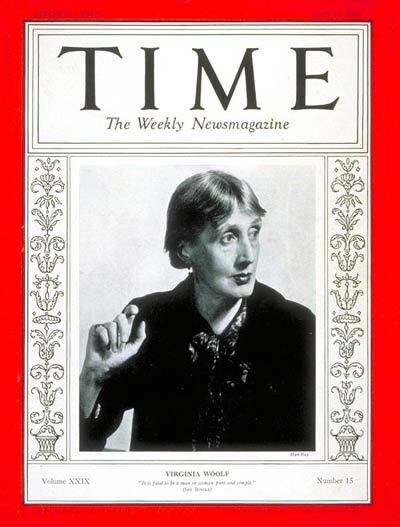 And don’t forget to submit a proposal for the upcoming themed issue of the Virginia Woolf Miscellany on “Collecting Woolf.” The deadline for submissions has been extended to Sept. 30. Get the details.